Based on years' experience and technology development, ZENITH's PE jaw crushers have 6 different models, which can meet most crushing requirements in primary and secondary crushing. Flexible setting of discharge opening of jaw crushers allows perfect match with relative equipment. 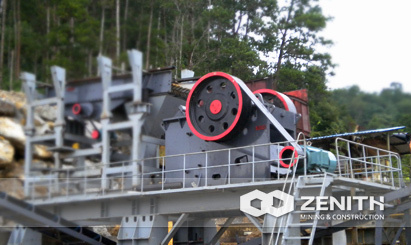 ZENITH's jaw crushers are easy to install, operate and maintain.PE Jaw Crusher is widely used in mining, metallurgy, construction, smelting, hydropower and chemical industries etc. As for per feedback, our experts will take it into consideration and make continuous improvements on our products to meet customers' changing needs. 1. The application of advanced manufacturing processes and high-tech materials. 3. The crushing chamber uses "V"-shaped structure, so that the feeding size is equal to the nominal one. 4. The crushing chamber is deep without dead zone, increasing the capacity and the output. 6. The outlet employs shim adjustment system, convenient and reliable, and increasing the flexibility of the equipment.